If you listen carefully, the world becomes a sonic wonderland, filled with a variety of beautiful sounds and styles. 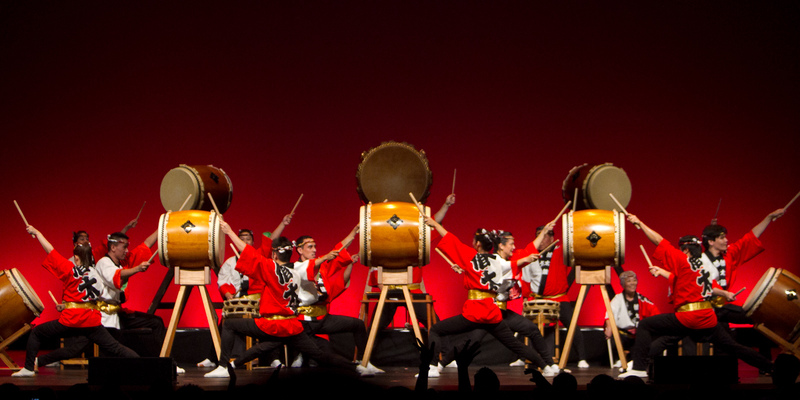 Performed in an ensemble formation, with a multitude of drummers and a variety of instruments, kumi-daiko is a truly awe-inspiring experience. Often accompanied with traditional string or wind instruments, the flow of these performances feels like a wave, transitioning from intense and up-tempo in one moment, to mellow and whimsical in the next. Originating in the inner regions of Mongolia, throat singing, combines the sounds of traditional string and percussion, with a technique, known as overtone singing. Tuvan vocalists produce and combine two separate tones, with their mouth and throat, in order to produce these mystifying sounds. The main form in Indian classical music, ragas utilize a series of five to nine musical notes to build a melody. Performed on a variety of traditional string, wind and percussion instruments, the sounds produced in a raga melody make it one of the most iconic musical styles throughout the globe. More of a traditional chant than a musical genre, the haka is a style of war cry, originating with the Maori peoples of New Zealand. Originally used by warriors before battle, to proclaim their strength and build moral, modern haka is frequently practiced throughout New Zealand by schools, sports teams and performance groups, creating inspiring and thrilling sounds. Combining the sounds of intense drums and multiple vocalists, this traditional Native music is performed in a variety of styles throughout North America. The shear range of tones and voices available in these traditional songs presents a breathtaking and unforgettably beautiful sound.